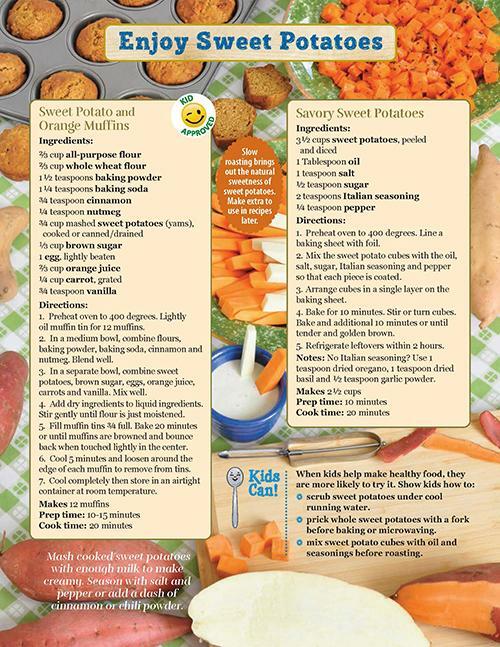 Kids Can - Sweet Potatoes! ❁ scrub sweet potatoes under cool running water. ❁ prick whole sweet potatoes with a fork before baking or microwaving. ❁ mix sweet potato cubes with oil and seasonings before roasting.